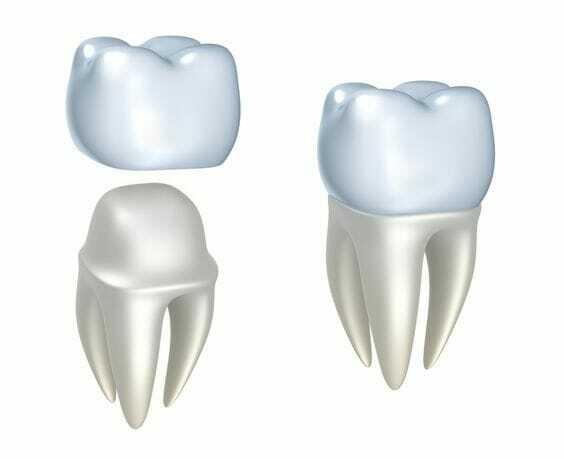 Crowns can be selected for necessity or cosmetic reasons. No matter what the case, the first step is to schedule an appointment with your AACD dental professional. The dentist will examine your teeth and in some cases will immediately see that a crown is the best option. In other situations where the problems aren’t so obvious, you may need to express your concerns and discuss your future smile goals so both you and your dentist have all the facts. Maintaining porcelain crowns is actually quite simple. Much like your original teeth, they require routine brushing with non-abrasive fluoride toothpaste and regular flossing.